Spring and winter become one when you add these adorable Frozen Spring Wall Decals from RoomMates to your child's bedroom walls. Featuring Anna and Elsa as sisters forever, these wall decals are the perfect solution to waking up to Frozen year-round. 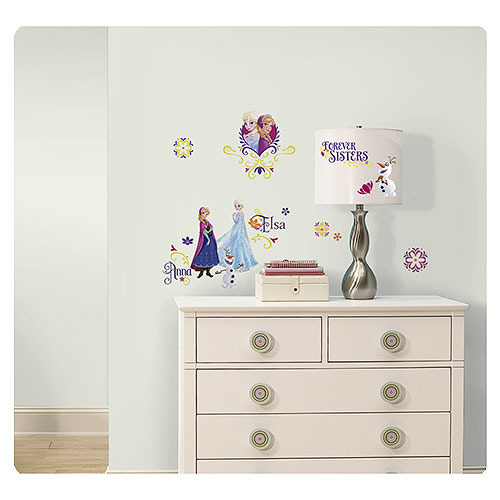 Removable and repositionable, move your Frozen wall stickers from wall to wall as much as you like until its in the perfect spot for your little Frozen lover! Ages 4 and up.